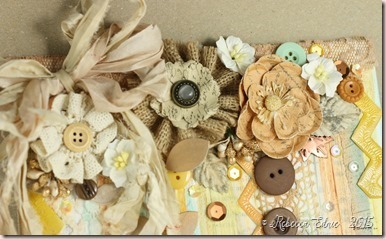 This week at Crazy 4 Challenges, we were asked to make a card (or project) using flowers! This might be a common challenge but we all love flowers so much it makes sense to repeat it often! I worked with some Authentique papers which included a ‘cut-apart sheet.’ You know, those papers with multiple images or borders that can be cut up and used on your projects. I chose the more vintage side, the other side was more retro, and arranged them on a heart die cut. 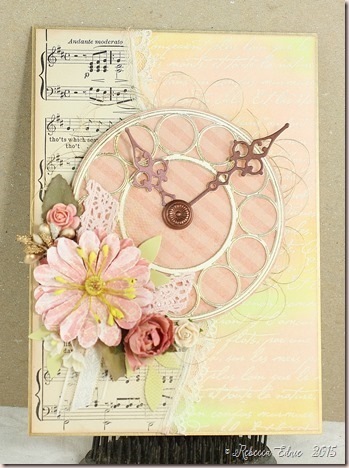 For the background panel, I repeatedly stamped the music border using my MISTI. It helps because you can make sure the border is straight. This can be tricky with some thin borders. Also it helps make sure the stamping is straight on the paper and keeps the spacing consistent when you leave the border on the door of the tool and just move the paper. I stamped on ivory paper using clear embossing powder. Then I sponged some Hero Arts and PTI inks that matched the colours in the patterned paper. I decided an ombre would look best, isn’t it pretty? For the center of the heart die cut (Hero Arts), I stamped one of the images from the Love Always stamp set by Simon Says. I don’t have dies so I trimmed it by hand. It isn’t an intricate image to cut so no biggie. The edges of the patterned papers were lightly inked with Vintage Photo to add to the antiqued look. 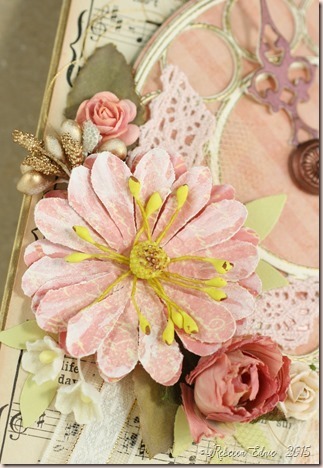 I hope you can find time to make and link up a floral card over at C4C. We would love to have you! 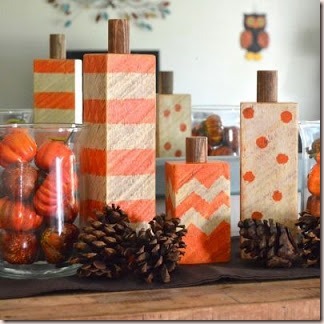 Do you ever buy the coolest die, stamp, embellishment or whatever then not use it for the longest time? Ugh, I know right? I always feel guilty when stuff goes unused! So when I sat down to create a card for this week’s Crazy 4 Challenges coffee or hot drink challenge, I decided to pull out a pop-up set of dies I’d never used. I think I hesitated because using a pop-up die set (Elizabeth Crafts) like this one means not only decorating the outside of the card but also decorating the inside pretty extensively. Part of the reason I make cards is because I can complete them quickly, even in between being interrupted by my kids! But seriously, as long as I leave more than one day to create, I can make it work! So I finally used it here. Although I’m showing you the front of the card first, I actually made the inside first. I didn’t have any papers I wanted to use that were large enough so cut the die from lightweight white cardstock then applied pattern papers over top. All of the papers are by Kaisercraft. I bought a ton when they were on sale from the Stamp Simply store so was excited to use them. The die cut cups are by MFT while the die cut label shape is by Lifestyle Crafts (I think they were bought out by WRMK). 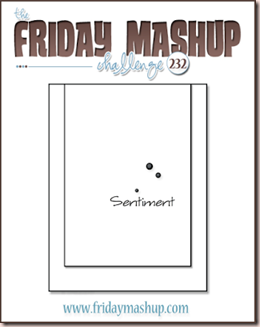 The sentiment I stamped and embossed in gold is from an older Simon Says Stamp set. The papers were so embellished already, I hesitated to add much more. So a few sequins were my only embellies. Lifewise, the front panel already included lots of detail and even a saying so all I added was the border from the paper pack and the lace. Did you know that all Kaisercraft paper packs (6×6 anyway) include several pages worth of sentiment die cuts, tags and borders? What a great value! They are quickly becoming one of my favourite companies! 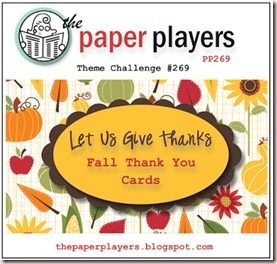 Come on over to the C4C blog to join our challenge! Can’t wait to see what you make! Whew! This summer has been so busy! I’ve taken a break from Crazy 4 Challenges for a couple of weeks but I’m back with a fun new theme. This week we were asked to make a love or thank you card for a family member. This card will likely be my sister’s anniversary card next year. I took inspiration from Jennifer McGuire who has shown a couple of variations on the gate fold card on her blog in the past few weeks. I’m used to gatefold cards being made from just one piece of 5.5×8.5” paper but her way uses two sheets that size. So I tried it out for this card. For the background, I used a piece of paper from My Mind’s Eye. The ornate heart came from a Hero Arts kit from a while back. Isn’t it lovely? I stacked 5 die cuts together to make the die cut sturdy enough then covered it in Versamark and WOW Vanilla sparkle embossing powder twice. Last I added some Caramel Cream Nuvo Drops to some spots. On the inside, I added a layered Love sentiment. I used Avery Elle rose gold embossing powder for the bottom layer. I added three layers until it was nice and shiny and smooth. Then the next layer was stamped with Versamark then embossed with WOW vanilla champagne powder which has gold glitter in it. It didn’t show up very well because the gold glitter made it look splotchy. So I added some SSS Pale Blush Pink ink right on top of the embossing. It helped fill in the flourish part of the stamping. I hope you love my card because I was very proud of it! 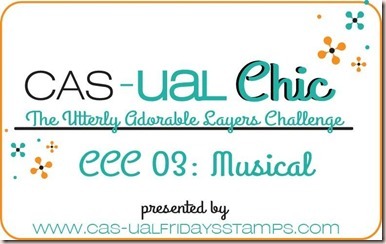 I’d love it if you would play along with us over at the C4C blog. 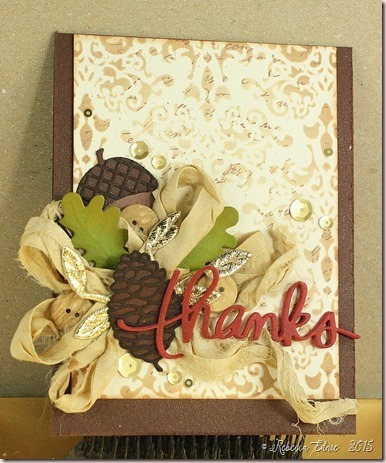 All you have to do is make a love or thank you card for someone in your family! I’ve got to admit, I’ve been holding out on you guys. I often post my cards to Instagram and forget to post them here. Sometimes I don’t even remember to take a photo of them with my good camera and all I have is an iPhone pic! So this summer, I am resolved to find all the cards I’ve made in the last while, about 6 months I think and post them all! We shall see how long this particular resolution lasts! This card was for the spring Coffee Lovers Bloghop. The Eiffel Tower is by Hero Arts, (I’m so used to Instagram that I almost typed #heroarts!) which I airbrushed in tan to get as close to the colour of the real tower as possible. Did you know that it is painted in an ombre of tan? But metallic tan of course. To save time, I die cut the tea pot and cup (dies by Poppy Stamps) with coaster board so I wouldn’t have to layer so many die cuts. Just snag a few every time you go out to a restaurant or bar! Most die cutters will get through it in just a couple of passes with a shim. The background is text paper from PTI but it looked too plain so I airbrushed some of the colours from the patterned paper on it. At the bottom I added a fabric doily; sadly most of it was covered by the flowers. I finished the card with some crystals, silk and paper flowers along with some die cut flourishes. I wonder if some of you are curious as to why so few of my cards are my usual shabby chic style. There are a couple of reasons. First, many of the stamps I get in my Hero Arts and Simon Says Stamp kits don’t lend themselves to shabby designs. 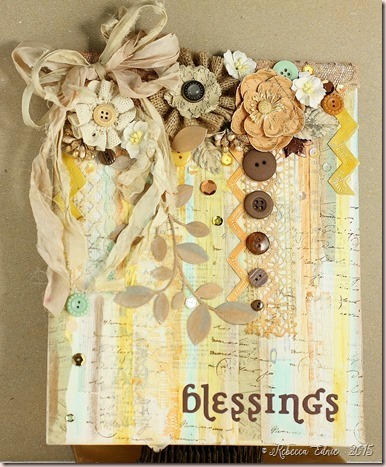 I wish I was like Melissa Philips and I could make a shabby card out of nearly any stamp set! But alas, I lack that particular talent. Also, I’ve been trying to sell my cards and the over-the-top shabby ones I love to make don’t sell very well. I will always be a shabby and elegant designer at heart but I have been enjoying making some cards that aren’t as ornate and girlie. Oh, I guess there is another reason. I’ve been colouring a lot and not finishing those cards! Especially since I’ve participated in the last couple of Kathy Rascoosin’s 30 day colouring challenges. That’s another goal of mine, to turn those coloured panels and backgrounds into cards! 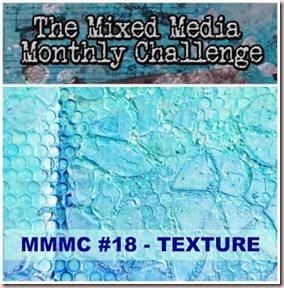 I found a new-to-me challenge blog, Global Design Project a short while ago. This week their challenge was to CASE one of their designers, Steffi Helmschrott. Her card was so pretty, I just had to play. The day I made this, I wanted to do something mixed media, but I couldn’t decide what to make. When I saw this challenge, it was so perfect! I started with white cardstock on a kraft base. But I didn’t want to just stamp or stencil ink on the background so I added some gold crackle paste (Prima) through a stencil (Tim Holtz). Then I added a postmark like you can see on her card but went a bit further and added a few more as well as some cancellation stamps. For the green I added some leafy die cuts (PTI) and instead of the butterfly, I added a lovely lacy flower (Prima). For finishing touches, I sponged some ink on both the card base and on the focal panel. I added a gold embossed sentiment on vellum and some sequins. The button in the middle of the flower was originally plain wood so I coloured it with a gold paint pen so it would match better. I had so much fun playing with this challenge. I can’t wait to see what’s next! Since I made a couple boy baby cards last week, I had to balance my stash out with a girl card! I started with some baby paper but I couldn’t find a pink ink to match so I started looking through some other papers. Wow do I have a lot, LOT of paper! Stuff I’d totally forgotten about. It was like shopping without paying anything! This paper isn’t baby at all but so soft and pretty. So, apparently, the flower for this month is Lily of the Valley. So our Crazy 4 Challenges theme this week is white flowers! Right up my alley! I love adding flowers of all kinds to my cards. The flowers were cut from white cardstock and shaded with Pan Pastels. The flower centers are made with a yellow Paper Pen from Viva Decor. I added some dots to the back panel with a Sizzix embossing folder and used some old SU! ribbon for the bow. All cardstock is by PTI except the green which is from SU! Next up is a cool interactive card using stamps and dies by PTI. Sadly, I think this set is now in the vault meaning it costs double to buy it! I got it just in time. It resembles the very first instant camera and where the photo would come out, there is a pull tab where you can write or stamp your message. The paper is by MME. 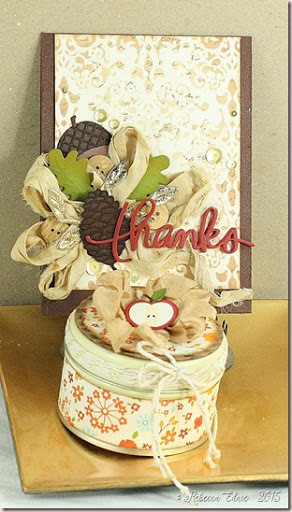 The cardstock and leaf die are by PTI as well. I hope you will also enjoy this challenge. It’s so nice and easy and any style you chose is perfect! I was thinking about using some vellum for a flower so maybe that’s an idea for someone. We, the design team, are always so encouraged to see you play along! 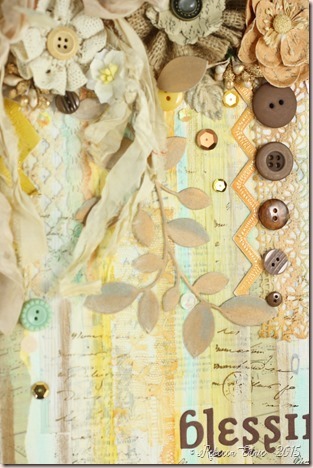 We have another fabulous inspiration photo this week at The Shabby Tea Room. 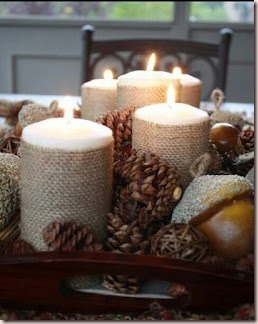 I love the softness of the photo and the fall colours. I decided to make a card and a candle as a gift. It will probably be a hostess gift at some point. I added lots of sparkle using gold glimmer mist and a Wink of Stella pen. The ribbon on the card is sari silk ribbon I bought from eBay. It’s so lovely to work with. The background was stencilled with ink then I stamped over it before I removed the stencil. Then I sprayed it with gold glimmer mist. I also added some to the card base. The candle is one from the dollar store in such a cute little tin. 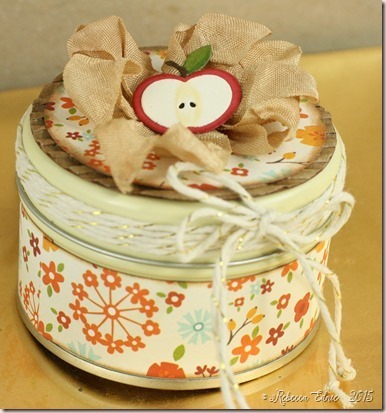 I added paper to the bottom and wrapped gold twine around the lid. 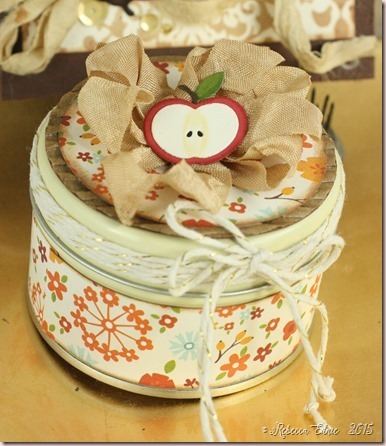 On top I added layers of paper, seam binding ribbon and a cute little apple die cut. If you die cut corrugated cardboard and it flattens too much, use a fine tipped embossing stylus to pull up the bumps. I love having small gifts on hand to use in a pinch. Do you create items to have in your stash besides cards? We’d love to have you join us this week at the The Shabby Tea Room. You don’t have to make a card, make anything you like! We love to have as many participants as we can get, new friends or old. Graphic have embedded links to challenges. Paper: chocolate CS-PTI, vanilla, olive, various browns CS-SU! I’ve always loved fancy clocks. The more ornate the better! This makes this stamp/die set one of my faves. It’s a bit hard to see but on the right is ivory cardstock with clear embossed script with soft Distress inks added overtop. I love embossed resist! So easy and looks fabulous. The clock die cut was embossed with gold. Although the stamp is only a partial stamp, I managed to use my MISTI tool to stamp the entire thing. Although so much is tucked behind the flowers, you would never know but I thought I’d tell you in case you own this stamp set. For the clock hands, I used a red Metallic Krylon marker. I covered the brad in eh same marker. They call it red but it is really more of a very red/pink copper colour. Someone gave it to me, I have no idea if you can still get it.